Harry takes Lucy and Kim with him to a friends ski lodge in Snow Mass, Colorado, for a skiing vacation. Lucy's favorite performer, Dinah Shore, is also staying at the same lodge. 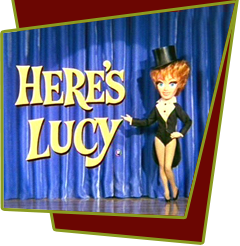 The two get stuck together on a ski lift, where Lucy proceeds to sing a medley of Dinah's hits to her, and otherwise annoy the singer. Special Notes: This episode is inspired by Lucille's real-life condominium in Colorado, where she often spends time skiing and relaxing. A year later, before the fifth season, Lucille will break her leg on the Colorado ski slopes.